It seems like one knock-back after another for Chipotle Mexican Grill. 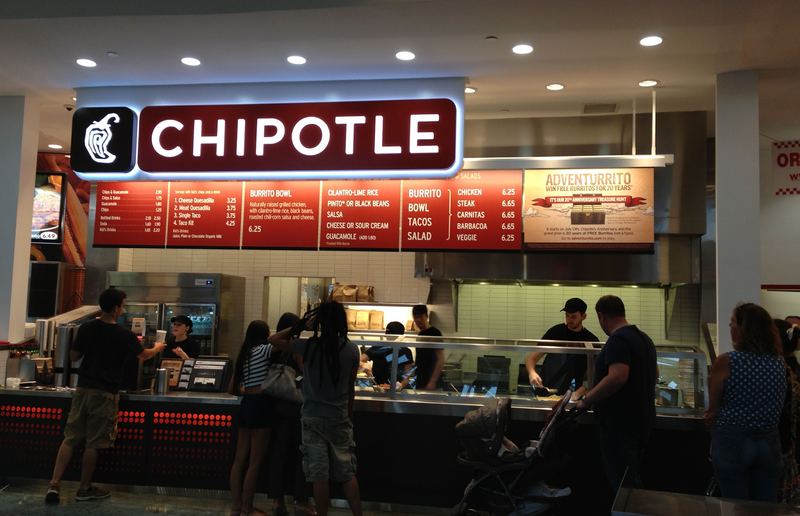 Still struggling to fully recover from last year’s disastrous E. coli outbreak, which some doubt that they will ever truly manage, the chain has now been hit with a lawsuit from 3 plaintiffs, each taking issue with Chipotle’s Chorizo Burrito. More specifically, there are taking issue with the product’s advertisement, which apparently claims that it contains just 300 calories. Obviously relying on a gut feeling that the product must contain more calories based upon how full you now feel isn’t really grounds for a legal case, so the disgruntled customers decided to consult Chipotle’s own Nutrition Calculator. When all suggested ingredients were included they were reportedly given a calorie total exceeding 1000; a fair amount more than Chipotle originally claimed. Not one to rely solely upon the word of others, I took a little look at the nutrition calculator for myself. After adding all the ingredients listed on the advertising board in question, the actual figures are definitely more in line with the plaintiffs’ assertions than those of Chipotle. That’s a staggering 935 calories above the advertised figure. Speaking to the daily news, Chipotle spokesman Chris Arnold simply stated that the company will not comment on pending legal matters, before adding that “a lawsuit is nothing more than allegations and is proof of nothing.” As it often the case in modern times, it was a tweet that finally provided a somewhat unsatisfactory response. Asserting that the stated 300 calories referred only to the chorizo rather than the burrito as a whole, all Chipotle managed to do was spark another wave of criticism. Chipotle seem to have picked up some kind of metaphorical shovel, digging themselves deeper and deeper with each mistake. If nothing else, this should serve as a warning to other companies to make sure you can back up the claims made in your advertising.